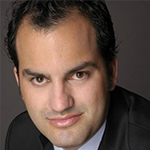 American tenor Paul Appleby’s 2013–14 operatic engagements include debuts with Santa Fe Opera, Canadian Opera Company, and Washington National Opera, and returns to the Metropolitan Opera and to Oper Frankfurt. Concert performances include Maverick Concerts, a recital at Pace University, and a joint recital with baritone Joshua Hopkins presented by the Washington National Opera at The Kennedy Center. Highlights of past seasons included singing the Chevalier de la Force in Poulenc’s Dialogues des Carmélites and Hylas in Bizet’s Les Troyens for the Met, and Ferrando in Mozart’s Così fan tutte for Boston Lyric Opera (company debut). He was a national winner of the 2009 Metropolitan Opera National Council Auditions. American soprano Deanna Breiwick is enjoying an exciting and diverse career. She is a 2011 Metropolitan Opera National Council Grand Finalist, a 2012 Grand Prize Winner of the Sullivan Foundation Vocal Competition, and a First Prize Winner of the Gerda Lissner Foundation International Vocal Competition. She also holds awards from the George London Foundation, Giulio Gari Foundation, and Licia Albanese-Puccini Foundation, and has received a Richard F. Gold Career Grant. This season, she made her European operatic debut with the Zurich Opera House, where she returns in the 2014–15 season as Papagena in Mozart’s Die Zauberflöte and Eliza in Il re pastore. Described as “brilliant” by San Francisco Classical Voice, pianist Allegra Chapman ’10 has performed as soloist and chamber musician in venues such as Lincoln Center’s Alice Tully Hall, New York City Center, and Chicago Cultural Center. She has collaborated with Ian Swensen and Steven Tenenbom, and her performances have been featured on WFMT Chicago and WQXR New York. She regularly premieres new music and has worked with Joan Tower and Charles Wuorinen, among other composers. Chapman earned her undergraduate degrees at Bard College and The Bard College Conservatory of Music and her M.M. at The Juilliard School. Chapman is a founding member of the Phonochrome chamber music collective in San Francisco. Baritone Joe Eletto is a master of music student at The Juilliard School, studying with Robert C. White Jr. This year, he made soloist debuts to critical acclaim in Bach’s St. Matthew Passion at Alice Tully Hall under Gary Thor Wedow; with Juilliard Opera in Massenet’s Cendrillon; and at the New York Festival of Song, among others. Prior to attending SongFest as a Stern Fellow this summer, Eletto attended the Aspen Music Festival and School, and sang roles in Mozart’s Così fan tutte with Oberlin in Italy and Rossini’s Guillaume Tell with Caramoor Bel Canto. Laura Flax is principal clarinetist with New York City Opera and the American Symphony Orchestra and performs regularly with the New York Philharmonic. A member of the Naumburg Award–winning Da Capo Chamber Players for 20 years, Flax has been involved in more than 100 premieres, including works by Joan Tower, Philip Glass, and Elliott Carter. Her recordings of Tower’s Wings and the music of Shulamit Ran are available on the CRI label and Bridge Records, respectively. She serves on the faculty of The Bard College Conservatory of Music and in Juilliard’s Pre-College Division. American baritone Andrew Garland is equally at home in opera, concert, and recital. Engagements this season include Papageno in Mozart’s The Magic Flute with Boston Lyric Opera; a double bill of Silvio in Verdi’s Pagliacci and Orff’s Carmina Burana with Hawaii Opera Theatre; concerts with Colorado Bach Ensemble and Boston Baroque; and many recitals. Career highlights include leading roles with Seattle Opera, Dayton Opera, Atlanta Opera, Knoxville Opera, Cincinnati Opera, New York City Opera, and Opera New Jersey, as well as performances at Carnegie Hall. Recordings include American Portraits (GPR Records), Lee Holby: A Pocket of Time (Naxos), and On the Other Shore (Azica). 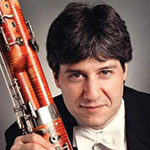 Marc Goldberg has been associated with the Bard Music Festival since its inception, first as principal bassoonist of the Bard Festival Orchestra, later as a member of the American Symphony Orchestra, and currently as chamber musician and member of The Bard College Conservatory of Music faculty. He serves as principal bassoonist of American Ballet Theatre and Lincoln Center’s Mostly Mozart Festival Orchestra. A member of the New York Woodwind Quintet, he has been a guest of the Chamber Music Society of Lincoln Center and Music@Menlo. He is also on the faculties of Juilliard, Mannes College, Hartt School, Columbia University, and New York University. 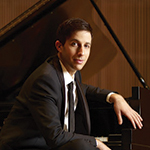 Pianist Benjamin Hochman has performed with the Chicago, Pittsburgh, Cincinnati, Houston, Seattle, San Francisco, Vancouver, New Jersey and Portland Symphonies; the Los Angeles and New York Philharmonics; the New York String Orchestra; Prague Philharmonia; and the National Arts Centre Orchestra in Canada. His recordings include the solo album Homage to Schubert (Avie, 2013); works by Bach, Berg, and Webern (Artek, 2009); and Insects and Paper Airplanes: The Chamber Music of Lawrence Dillon (Bridge Records, 2010), in col- laboration with the Daedalus Quartet. He serves on the faculty of The Bard College Conservatory of Music and the Longy School of Music of Bard College. Hailed by the New Yorker as “destined for great things,” the members of the Horszowski Trio played together for the first time in 2011 and immediately felt the spark of a unique connection. Violinist Jesse Mills first performed with Raman Ramakrishnan, founding cellist of the Daedalus Quartet, at the Kinhaven Music School more than 20 years ago, when they were children. In New York City, they met pianist Rieko Aizawa, the last pupil of Mieczyslaw Horszowski, who, upon being discovered by Alexander Schneider, had made her U.S. debuts at the Kennedy Center and Carnegie Hall. 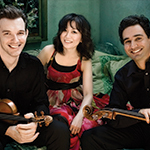 The Trio has toured throughout the U.S., Japan, and Hong Kong. Their debut recording, of works by Fauré, Saint-Saëns, and D’Indy—all composers Horszowski knew—will be released by Bridge Records in 2014. 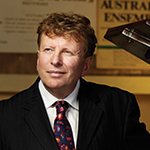 Among the recent performance highlights for London-based Australian pianist Piers Lane were the Busoni Piano Concerto at Carnegie Hall; premieres of Carl Vine’s second Piano Concerto, written for him, with the Sydney Symphony and the London Philharmonic; and a sold-out performance of Chopin’s complete nocturnes at Wigmore Hall. Five times soloist at the BBC Proms, Lane’s concerto repertoire exceeds 90 works and has led to engagements with many of the world’s great orchestras, including the BBC and ABC orchestras; the American, Bournemouth, and Gothenburg Symphony Orchestras; the Australian Chamber Orchestra; and Orchestre National de France; among others. Since 2007 he has been artistic director of the Australian Festival of Chamber Music. His most recent solo recording is Piers Lane Goes to Town (Hyperion). 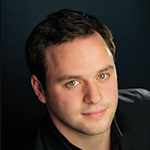 Tenor Theo Lebow made a triumphant Canadian debut as Fenton in Verdi’s Falstaff with Opera Hamilton last October. Recent appearances include creating the roles of Picasso/F. Scott Fitzgerald in Twenty-Seven, a world premiere by Ricky Ian Gordon (alongside Stephanie Blythe and Elizabeth Futral) with Opera Theater of St. Louis; performances of Jaquino in Beethoven’s Fidelio with the Shippensburg University Music Festival; and performing the Berlioz Requiem at Pomona College and Schubert’s Winterreise in New York City. Future engagements include Mr. Porcupine in Tobias Picker’s Fantastic Mr. Fox with Opera San Antonio, and Jupiter/Apollo in Handel’s Semele with Seattle Opera in 2015. 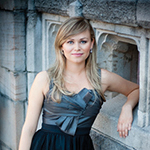 Mezzo-soprano Rebecca Ringle’s performances have brought her acclaim on operatic and concert stages. In 2013, she debuted at the Metropolitan Opera as Rossweise in Wagner’s Die Walküre and has joined them for further productions of Shostakovich’s The Nose, Adams’s Nixon in China, and Verdi’s Rigoletto. Other performances include the title role in Handel’s Ariodante with the Princeton Festival; Dido in Purcell’s Dido and Aeneas with the Macau International Music Festival in China; and further performances with the Cleveland Orchestra, Oratorio Society of New York, Richmond and Utah Symphonies, New West Symphony, Orchestra Giuseppe Verdi di Milano, New York City Opera, American Opera Projects, and Washington National Opera. 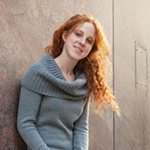 Pianist Erika Switzer has performed recitals at New York’s Frick Collection and Weill Hall, and for the 5 Boroughs Music Festival and Brooklyn Art Song Society, as well as The Kennedy Center in Washington, D.C. In Europe, she has appeared in Paris’s Salle Cortot and the Poulenc Academy in Tours, and at the Winners & Masters series in Munich, among other venues. In her native Canada, she has performed at the chamber music festivals of Montreal, Ottawa, and Vancouver. Together with Martha Guth, Switzer is cocreator of Sparks & Wiry Cries: The Art Song Magazine. She teaches at Bard College and The Bard College Conservatory of Music, and is a founding faculty member of the Vancouver International Song Institute and codirector of its Contemporary Performance Studies program. 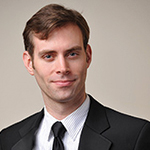 Bass-baritone Paul Max Tipton performs to acclaim in repertoire ranging from Monteverdi to Britten and Bolcom. He has performed with the Bach Collegium Japan, New York Philharmonic, Apollo’s Fire, Seraphic Fire, and the Orchestra of St. Luke’s. Recent engagements include Britten’s War Requiem, Rameau’s La lyre enchantée, and a recording of Brahms’s Ein Deutsches Requiem, which earned a 2012 Grammy nomination. His performances of the Bach Passions are noted for their strength and sensitivity. 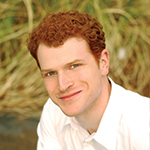 Tipton studied at the University of Michigan at Ann Arbor and Yale University, and is a Lorraine Hunt Lieberson Fellow at Emmanuel Music in Boston. Pianist Reiko Uchida enjoys an active career as a soloist and chamber musician, performing regularly throughout the United States, Asia, and Europe. She has appeared as soloist with the Los Angeles Philharmonic, Santa Fe Symphony, Greenwich Symphony, and Princeton Symphony, among others. 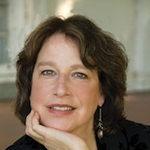 As a chamber musician she has performed at the Marlboro, Santa Fe, Ravinia, Tanglewood, and Spoleto festivals; as guest artist with Camera Lucida, American Chamber Players, and Borromeo, St. Lawrence, and Tokyo Quartets; and in recital with Anne Akiko Meyers, Thomas Meglioranza, Jennifer Koh, Sharon Robinson, and Jaime Laredo. 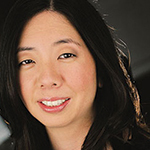 A graduate of Curtis Institute of Music, Mannes College of Music, and The Juilliard School, Uchida is an associate faculty member at Columbia University. 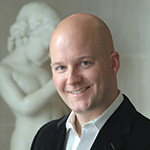 Tenor Scott Williamson is artistic director of Opera Roanoke, where he produced the company’s first-ever staging of Wagner (Der fliegende Holländer) and the western Virginia premiere of Handel’s Giulio Cesare. The Times of London called his debut at Shakespeare’s Globe Theatre “brilliant.” Williamson’s repertoire ranges from Baroque oratorio to contemporary opera and musical theater. His performances of works by Mendelssohn and Dallapiccola with the American Symphony Orchestra are available on iTunes. His “Night by Silent Sailing Night: A Performance of John Cage’s STEPS: A Composition for a Painting,” was acclaimed as “one of the best ever” upon its creation at the Taubman Museum of Art, where he is guest curator in music.